Cool! 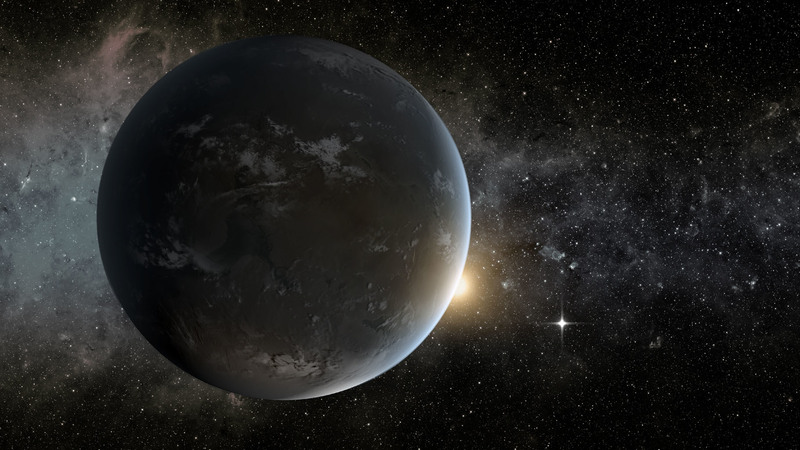 A nearby “Super Earth” – only 21 light-years away in the inner habitable zone of its small, red ‘M dwarf’ star. Almost 3 times more massive than Earth, this exoplanet is 21 light-years away. It takes only two weeks to orbit its star, closer than Mercury is to the Sun. But since M dwarf stars are cool compared to our Sun, the planet still has the potential for water. NASA’s Exoplanet Exploration Program, the search for planets and life beyond our solar system.